Queen of Mayhem: All Tangled Up! Most of you probably were not readers (or maybe you were!) 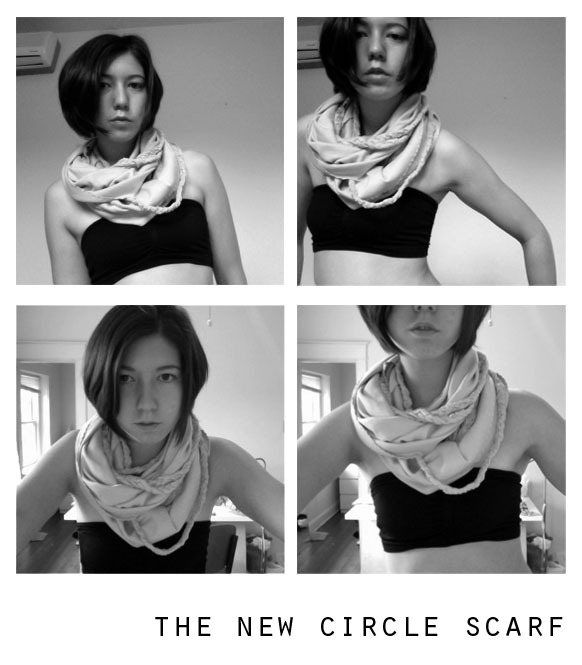 when I first made my Circles & Braids Scarf, but today it's being featured on The Uniform Project which is super exciting! I'm dying to read all the comments people post. Exciting news aside, I've been so busy with midterms that I've been neglecting you guys. Luckily, I just finished my last midterm for this semester and only have a few homework assignments to go. Oh, and I go to NEW YORK in 7 days! Also, I love tapioca pudding. I made some from scratch last night and I can NOT stop eating it. HI i like the scarf! I actually was eyeing some fringe version a time ago. And answering your question, my fur was from Topshop. Now I am crazy about a top like that...I love fashion blogs! many kisses and let´s keep in touch!!! wait, I just assumed you were from NY?! You should come here! congrats! i always come around and catch up. hope all is well.